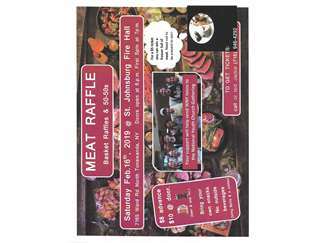 Meat raffle, 50/50 to help support send WNY teens to the National Youth Church Gathering. $8 includes beer and pop, $10 at the door. Bring your own snacks, no outside alcohol allowed. Doors open at 6, 1st spin at 7.